This is the OE Leather Steering Wheel for the 2000-2001 WJ Grand Cherokee Overland. The leather is Agate. 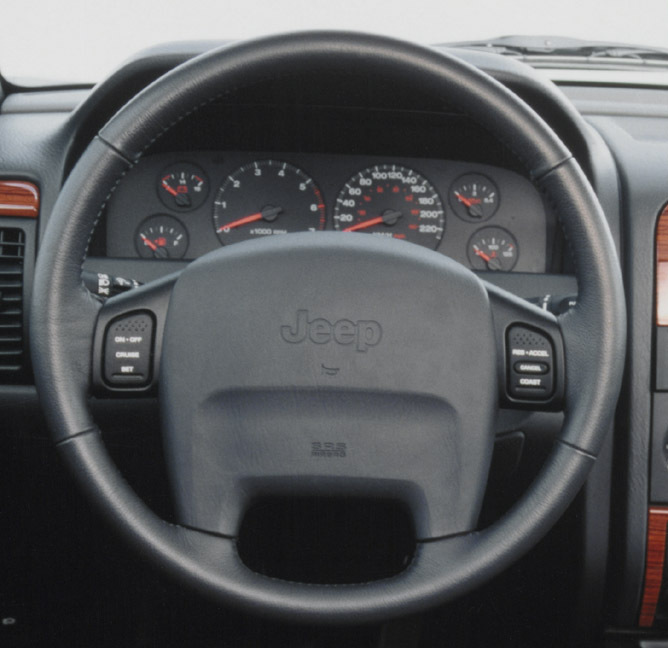 Steering wheel and rear bezel only, does not include airbag, airbag cover, switches or wiring.